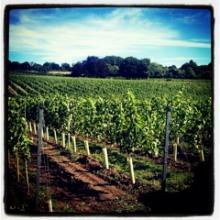 Could Hampshire be the next hotspot for great English wine? This is your chance to find out. 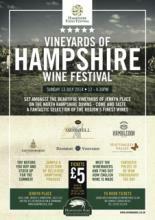 Six award-winning vineyards are getting together at the picturesque Jenkyn Place Vineyard, near Farnham on Sunday 13 July. Taste and meet the people behind Hambledon, Hattingley Valley, Meonhill, Danebury, Cottonworth and – of course Jenkyn Place. Take a tour with Jenkyn Place founder Simon Bladon and his daughter Camilla around the gently sloping vineyards. 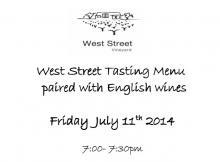 To celebrate summer, the talented kitchen crew at West Street Vineyard have put together a special menu to pair with English wines. Starting with English cucumber gazpacho and running through to an East Anglian cheese plate, there will be six courses and six wines. Head to the Vineyard's engaging facebook page to find out more. Forget the Busman’s Holiday, this is his nibs's Big Day Out. Travel around some of Sussex’ finest vineyards amidst the charm of a vintage Routemaster bus. You'll visit leading wine producers, including the likes of Ridgeview and Bolney Estate. There's a stop for a pub lunch or a Sussex-inspired buffet. Saturday sees the flinging open of field gates and winery doors as Hogs Back’s latest major drinks player, Greyfriars Vineyard, holds its Summer open day. Fresh from their success at the Sommelier Wine Awards – winning Silver for its 2011 Sparkling Rosé – and Decanter World Wine Awards too, Greyfriars is offering free tours and tastes of its news wine. So, as well as a chance to try the medal-winners, you'll be among the first to sample the 2011 Blanc de Blanc and the 2012 Rosé Reserve. Live anywhere near Oxford? Well you’re in luck. 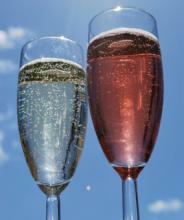 Along with the annual Oxford Pride march, tomorrow sees the biggest public tasting of English wines for the year. 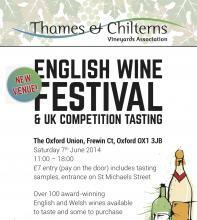 Nearly 200 Engiish and Welsh wines will be available at the English Wine Festival at the Oxford Union from 11am to 6pm. And why? Because the local wine association has been host over the last week for the UK Wine of the Year Competition. So you’ll be getting the first chance to taste this year’s award-winners. And although the judges are keeping schtum on the identity of the winners, they have let slip that it looks like a bumper year.